Depression is horrifyingly common. According to the UK mental health charity Mind, it affects 3.3 in 100 people. Exacerbating the matter, many sufferers struggle to obtain a formal diagnosis, which is vital to receiving further help. Could technology help as an early-warning mechanism? One research paper, published in EPJ Data Science by academics Andrew G Reece and Christopher M Danforth, looks at if Instagram usage patterns can be indicative of depression. Reece and Danforth used machine learning tools to analyze almost 44,000 Instagram posts from 166 individuals, paying close attention to color usage, metadata components, and face detection. Separate studies have shown that while healthy individuals identify darker colors with a negative mode, and tend to prefer brighter colors, depressed individuals prefer darker colors. They also found that those who self-identify as depressed tend to view the world as gray, or lacking in color. Color, therefore, played a huge role in the researcher’s analysis, and they paid close attention to the huge, saturation, and brightness, as well as the use of filters. Another major attribute they followed was posting frequency. If you’re depressed, it follows that you’re not documenting every moment of your life on Instagram. Photos posted to Instagram by depressed individuals were more likely to be bluer, grayer, and darker, and receive fewer likes. 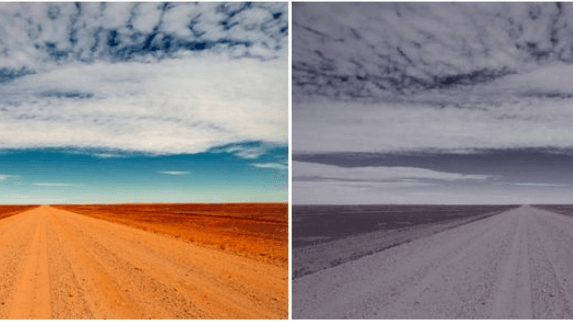 Depressed Instagram users in our sample had an outsized preference for filtering out all color from posted photos, and showed an aversion to artificially lightening photos, compared to non-depressed controls. The model they created was so effective, it outperformed general practitioners (GPs) at diagnosing the debilitating mental health condition. More than half of GP diagnoses are false positives, while the majority of classifications created by the A.I. program were correct. Reece and Danforth concluded that their findings support the idea that changes in mental health can be observed through social media. Provided efforts are made to ensure the data is held and analyzed in an ethical way, they argue that Instagram can be the basis of an effective tool for mental health screening. Ironically, in May of this year, a Royal Society for Public Health survey found that a majority of young people in the UK found Instagram to be the worst social network for their health and wellbeing. The second worst was Snapchat, with YouTube regarded as having the least malign impact. The organization subsequently called on industry and government to try and mitigate the harmful aspects of these sites. But as harmful as these social sites may be, they might also offer a window into the human psyche – a window that may ultimately help nip debilitating disorders in the bud.